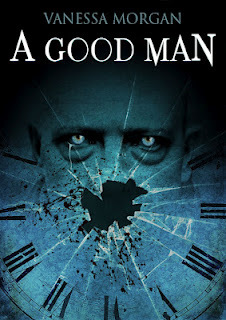 Today I am welcoming Vanessa Morgan to the blog to tell you a little bit about her new book release - a screenplay (already in pre-production) called A Good Man. Louis Caron is a good man - vegetarian, he feeds the homeless, takes care of animals and is even concerned with the ecological future of the planet. But his altruism has a sinister edge - he's a vampire and local detective Taglioni is becoming increasingly suspicious. Louis' attempt to escape the police takes him on a journey into his own private hell where he is not only forced to confront his worst fears, but also to destroy the lives of those he cares about most. Vanessa Morgan was born May 24, 1975 in Vilvoorde, Belgium. She graduated from Vrije Universiteit Brussel and she first worked as a freelance journalist, a language teacher and a pet supply store manager before becoming a full-time writer. 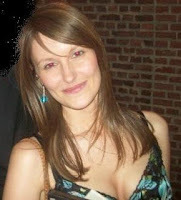 Her native language is Dutch, but she loves to write in other languages such as English and French. Vanessa Morgan lives in Brussels, Belgium, where she is at work on a French vampire screenplay for Radowski Films and a comic book series starring her beloved cat Avalon. I like to read books of new, young and talented authors. They clearly describe the events.